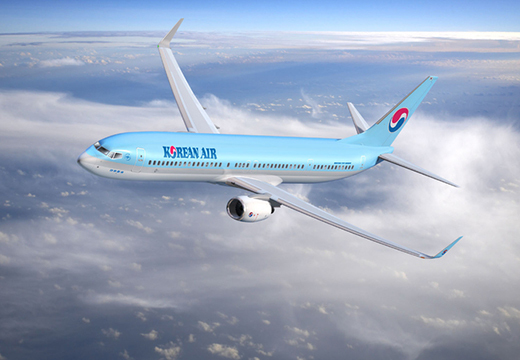 Korean Air will temporarily deploy B737-900ER to fly five times a week from Incheon to Asahikawa, Japan from June to Oct. 26, while another full-service carrier Asian Airlines has upgraded flights to the United States. The national flag carrier said on Tuesday it will temporarily offer flight services on the Incheon-Asahikawa route with departure from Incheon at 8:20 am and arrival in Asahikawa, Hokkaido at 11:15 am, with a return flight departing from the Japanese city at 1:40 pm. With the new flight route, Korean Air’s Incheon-Hokkaido operation will increase to 19 times per week from 14 times in addition to the Incheon-Sapporo route. Asahikawa located in the center of Hokkaido is famous for snow and skiing in winter, and cool temperature in summer. Meanwhile, Asiana Airlines, Korea`s second-largest airline by sales, said on Tuesday it will operate A350 passenger jets on three U.S. routes (Los Angeles, San Francisco, and Seattle) from Mar. 31. The 311-seat A350 has a larger cabin than rivals in the same class, excellent fuel economy, and low environmental footprint. The new airplane also includes Economy Smartium seats offering 7.5-10cm additional seat pitch compared with its regular economy seats plus paid in-flight internet access and roaming services. Asiana picked the A350 as its next-generation flagship flight and plans to operate a total of 30 A350s by 2025.